You can park it almost anywhere it will fit for at least a little while (ha! not helpful, huh? :)). Parking and living in a tiny house… Legally… very few places (so far). The answer to this is pretty much ‘parts of Portland’ as an accessory dwelling unit to another structure only. I have heard from Portland folks though that this is even a blurry line, some say it’s still taboo some say they live tiny and have gone through the process of making their tiny ‘legal’. Where to live is the one major sticking point (understandably) that prevents a lot of people from choosing tiny. It is a big investment to take for limited security. This is the ‘grey area’ that you hear a lot of tiny housers having to make themselves comfortable with in order to live the lifestyle. My feelings are that, in order to effect change, you have to have pressure and a wave of people pushing in order to change feelings/zoning, that is the reason I felt comfortable building even with this grey zone. I am willing to have that discussion with officials to try to shift the paradigm if/when it comes up (I think it is coming up very soon all across the country, Vina even had 30 planners over to her house just the other day in California!). So, here is how tiny houses are viewed by the legal entities: There is currently no ‘tiny house’ classification as codes/zoning see it (I would like that to change), generally they are classified as an RV or mobile home (though you can get them classified as other things depending on location. I’ve heard of them being classified as a ‘neatly stacked load’ on a utility trailer, or as a semi trailer, neither of which are able to be occupied legally at any time and require different registration/permitting fees). MOST tiny houses are classified as RV’s (mine included). Because they are on wheels the building department doesn’t touch them in any location that I’ve heard of so far. Licensing and registration happen through the transportation department (I personally wish there was some sort of structural analysis required, I have seen far too many sub-par construction techniques used in some tiny houses that I hope I never find myself behind on a freeway…). Mobile Home: If you are registered as a mobile home you can live full time in a mobile home park legally or in any zone that allows mobile homes (a lot of downtown districts surprisingly are not anti mobile home). The caveat here is that sometimes the mobile home parks require that the home be built by a licensed manufacturer for safety reasons (understandable), not always but sometimes. That is a sticky point if you are a DIY tiny houser. If this is the path that makes sense for you I would encourage you to have the conversation with potential locations prior to starting construction. This option typically has higher registration and permitting fees (as well as taxation). RV: If you are registered as an RV then you are legally allowed to live in RV parks. The same rule above applies here though, a lot of RV parks require you to have a ‘current RV’ manufactured by a certified manufacturer (a lot of tiny house builders are getting licensed to be recognized as ‘certified manufacturers’). If this is the route you are going and you are having someone else build your tiny home ask them if they are certified. If you are a DIY it probably isn’t feasible for you to get that certification on your own. Other Options: The ‘neatly stacked load’ and semi trailers don’t ‘legally’ allow for occupancy no matter where they are. Ok, so how do you go about finding a place and what are the options? My favorite option would be to purchase an existing house, one with a large enough yard to park your tiny. Then, rent out the house to cover that mortgage and live rent free! I do understand many people get into this as a way to NOT get a mortgage but that is one way to use debt as a tool to propel your own finances forward. So long as you found a place with the right set-up and the ability to rent it out for more than the mortgage payments would be… buying a piece of property also offers a couple other benefits, first being camouflage. Plain and simple, the right house will hide a tiny house well. Second, you MAY be able to take it up with the city to have your tiny house recognized as an ADU if necessary (see above linked info if needed, if this comes up it’s good to site other cities as a reference). You can put an ad on Craigslist looking for a place (or look for ads with RV parking). You’ll want to be specific about what hook-ups you’ll need. Keep this in mind in your build too, having some hook-ups may limit the places you’ll be able to park. having a 30 or 50 amp plug for example is not as easy to find as having two 15 amp (standard outlet) plugs. My house is wired with two separate 15 amp plugs for this reason. Also having a clean-out required (for a flush toilet for instance) is not as easy to find either. It can be done but it will be more limiting. Go to MyTinyHouseParking.com, look for places in the area you want to live. This is a new-ish site and it is very hard to engage non-tiny house people who may have property but don’t necessarily know that they could make some extra bucks a month by leasing it out… for this reason, TELL PEOPLE ABOUT THIS SITE. There are lots of interested parties that may have the land, like tiny houses but have no intention of downsizing themselves. You may have a mother/aunt/uncle/friend who lives alone, struggles to pay bills, faces foreclosure etc. (in your state or not) and an extra $300 a month and/or someone near to them who can check in on them would mean a lot… those people need to find this site. There is no shortage of tiny housers looking for land all across the country who will gladly rent it for cash and/or in exchange for chores. There is a disconnect in finding the property owners that would happily rent the land to them… check this site often for updates and share, share, share! Stacey started Tiny House Hosting (TELL PEOPLE ABOUT THIS SITE) on Facebook for the same purpose, matching tiny housers with hosts. For all the same reasons above share this site if you know someone that may be interested in hosting a tiny house and making some cash. It is important to note that in both the Tiny House Parking and the Tiny House Hosting sites the host is under no obligation to provide anything extra. Generally the tiny houser provides monitoring of their own utilities and reimburses that (it is mucho convenient if the host has that already though) or utilities can be set at a flat rate, whatever works best for the parties involved. If the house becomes unwelcome via the host or any neighbors they may still be asked to leave at no risk/expense of the host, it’s just one of the risks that the tiny houser takes on when living in the ‘grey area’. It is a situation that could be mutually beneficial, the hardest part is getting word out to the property owners that they may be able to pull in some rent. You can of course buy your own bare property as well. It is important to note that you may still be asked to leave your own property even though you own it if it is not zoned for an RV/mobile home… it is a risk. It is MUCH less likely to occur in a rural area which is why you see a lot of rural tiny houses. In this article you can also see that the city of Brainerd okayed small houses (their minimum is 500 s.f.) on foundations. These have to be located on sub-standard lots and on foundations but this could be a very good situation for some. I will be keeping an eye on this for sure but this will most likely set a precedence which others cities will/could use to do similar things. What I was planning on doing prior to finding my current location is to simply knock on doors in the location where I wanted to live. Because people don’t know much about tiny houses they don’t generally know about the opportunity to make some side income. Tell people about your project, ask if it would be appealing to make some extra money and host your tiny house. Make sure they know their rights, they know the risks (and that they know that you know the risks), ask how much they would want (and have an idea how much you want to pay). You can help by having an image of your house or something similar to what your house would look like. A good place to start (this is not meant to sound horrible, I realize it might) is with the elderly. In my experience they are the least judgmental about going with a tiny house because houses used to be tiny, it isn’t foreign to them as often. Not only that, in a lot of cases they may not live near family and would be comforted knowing someone was near if they needed help… this can build community, you can offer them services they may not otherwise have AND help them with expenses (bypass a reverse mortgage which I HATE the practice of…but that’s a different story). It seems like the ultimate mutually beneficial situation. Again, this is my urging for those reading who know others…if you know someone with property and no aversion to tiny houses, maybe a willingness to make a couple/few extra hundred bucks a month share these two sites with them, TinyHouseParking and TinyHouseHosting there may just be a mutually beneficial relationship to be gained! My goodness that was a long post, hopefully it helped clear things up, if not it probably muddied them up even further! I go over processes and options more in my eCourses which you can find HERE. For more info on the state of tiny house codes check out my breakdown HERE. You can also use our maps for people looking (http://www.tinyhousecommunity.com/map/ ) and for people offering (http://www.tinyhousecommunity.com/map/communities/ ) parking. It’s completely free: no ads, no fees. Tiny house living is so much simpler and easier–even economical! I’m wondering how much money a person would need to get started? Is it feasible for those on a median income? Absolutely! I built this entire house for under 12k. I had 10k up front but I could only work fast enough to spend about 600-1,000 a month so it was easy to save while building too! Hi, I’m really interested in building my own tiny home. How did this all started and did supporting family or friends for this project? So far i’ve received nothing but negative and discouragement. Very disappointing. I’ve been trying, trying, trying to figure it all out; that thing called ‘Life’ that happened to me over the past 6 years in a dizzying, rapid-fire, often heartbreaking succession of events. Now I need to check the laws, rules, etc. Sorry to hear things have been rapid fire at you, good or bad that is never an easy ride! BUT, in my experience, the best stuff comes immediately after those times! Wow! This is exactly what I was looking for! Thank you for posting (not just this, but my comment in your “contact” section too). people around Boise/Meridian/Nampa area that I’ve talked to so far are pretty open to the tiny house idea. I will definitely check out the web sites you recommended and I’ll probably pick up Ryan’s book on codes as well. Thank you for your help! This is the most complete post I’ve seen on the subject and it’s got to be reassuring to the interested since you actually live in a Tiny Home. I see places every time I go out that look perfect for a Tiny House to sit, and I wonder about the owner’s interest. I agree that stopping and knocking are a great step. Why not, right? Portland is definitely based on exactly where you live. If you live in an area slated for infill or accessory dwelling units then you can often get permission but if you have some CCRs (neighborhood restrictions) then often you can’t. Sometimes you can have it as long as it is not hooked up to sewer and it’s considered ‘a spare bedroom’ and supposedly you shower and cook in the main house. People are getting around that by using a stripped down model and then bringing in hot plates, jugs for water and composting toilets. Areas outside of the city of Portland limits still have pretty strict rules about not allowing you to live in a trailer. Most of Oregon actually does. My husband and I looked into buying some cheap land in Eastern Oregon and even though it was in the middle of no where and most places didn’t even allow a well, they still did not allow a trailer, only manufactured homes were allowed. I fail to see the logic in allowing you to put down a manufactured home and then have to bring in water. Multnomah and Clackamas county also went as far as to change how they measure sheds to make it more difficult to set up a tiny house and live in them. They measure total square foot on the interior now and include any loft space in that square footage. They want their building fees. Very interesting, thank you for the reply! I think things will start changing soon, once it starts it’s going to domino all over the country! I purchased a vacant lot in Clackamas county and am under the radar so far. I did try to go the legal route but it was going to cost a minimum of $25k for a building permit for a house that I will never build. Also, since the land is vacant I can’t get an address assigned unless I intend to build. In that case I would have to pay for some plans and a plotted map of where my fake structure would be. Another issue is that I cannot get cable TV it internet as they require a physical address. Yes there is satellite but unfortunately I have too many trees in the way that belong to neighbors. I attempted to talk to someone at the county planning office about putting a shed in but this person kept asking me where exactly the property was. I didn’t want to divulge that info as I am already living there and don’twant to invite snoops. I don’t know how long it will take for laws to change on these tiny houses but I hope soon. Do you know if there is a group that is working to change the laws in Oregon? If not, maybe we should start one? Andrew and Gabriella Morrison of Tiny House Build are working hard on this right in your area I believe, definitely worth reaching out to them! Do you have their contact information? I’m currently looking to purchase a bare lot in rural clackamas county as well and got the same answer from the planning commission. Are you living completely off grid or were you able to get around electricity, water, sewer, etc? I’ll be building the house on site at my current residence then moving it in if I decide to purchase this plot. I would love to live in a micro home, and I live in Washington state. The county I live in doesn’t appear to want micro homes, nothing without a foundation and its own septic tank. The only way I can build a home would be to build very small, simple and learn to do most of the work myself. The tiny house movement needs to be a revolution. House prices may have plummeted, but their size and cost is still out of reach of people like myself. Any guesses how soon the change will occur? It is changing every single day, its been very quick moving, a year ago there was nowhere, now there are cities across the nation actively incorporating changes to allow small! What part of Washington? There are changes happening there now! Thanks for sharing the link to his story! His property was in SouthEastern Michigan (the section of Michigan I live in as well), and it is mainly urban cities and suburbs so I can see where he would run into some problems. I know “Up North”, as we call it, there are many people who have small cabins (like 200 square feet or less), travel trailers, etc… on their property. Is it legal? Not sure. But I will for sure do my homework before I buy acreage. I plan to buy 10+ acres and build something permanent around 400 – 500 square feet and also have some tiny homes on wheels there. I also read an article recently about a couple who built their home on property up north and were then told they couldn’t live there, not because of the size but because it didn’t have running water and a sewage system. So I will have to look into all of those details. If I find out about any cities here that will allow tiny homes I will let you know. Thanks! You having any luck finding a place in MI yet? My son and his girl friend are looking for the same and are running into a lot of road blocks. Any leads or advice would be great. MOST of Michigan is not as difficult as many would believe. At least in the northern half of the lower peninsula and the U.P. In rural areas where you own even minimal acreage, it is usually quite legal to set up an “RV” hook up. The well is pretty much the same as any rural well. The septic requires a proper sanitary hook up, but any qualified septic installer or general contractor for that matter can help there, and it is not terribly expensive. And Outdoor electrical service pole is simple and easy and is covered right on most county building permits as an option. You can then pour runners,or slabs or nothing at all if you choose. I have set up RV set ups on even very small lots of 100×150 feet. In many areas you can even set up multiple hook ups. Not far from where we build a family has about a dozen such “RV” hook ups on one 5 acre plot. There are many folks around here who set up such hook ups beside their homes to connect their travel trailers (And of late tiny houses) to. My in-laws have had a trailer next to their lake home without issue for 30 years. There is a lot of misinformation about setting up private property in Michigan. But it is not daunting at all in most rural locals,.As long as the house is on wheels and can be moved it is a travel trailer. In some places it is required that you move said trailer every six months, but it seems this is rarely if ever enforced outside of the down state cities and the political hell hole of Traverse City. My pleasure, glad to help anyway i can. The only way we are going to change the ridiculous status of tiny homes in Mich is to “get them out there” so they have to be dealt with. I just started a new 8×16 build for a customer who is going to have us do all his site prep. When we pull his permits we’ll see if there are any new regs that affect the basic “RV:” set up and will post details if so. I live in Michigan as well. I so badly want to live Tiny. I live in a small town between mid and northern Michigan and i was just wondering since it’s been almost a year if you’ve gotten approval on your plan? Hello Macy, have you heard from anyone that attempted to get the certification as a mobile home or RV manufacturer? I’ve run into that question at RV parks near where I live in Northern New Mexico. Just starting to probe for land suitable for a tiny home and trying to cover as many bases as possible. I have heard there are officially 8 RVIA certified tiny home builders now, unfortunately requiring that sort of takes it out of the hands of the DIYer :(. I have heard people looking into it but saying it was WAY to tedious to follow through on… I know there are some people working on an equivalent rating setup that a DIYer can do too, I have no idea how successful they will be. Things change almost daily it seems on this front! Macy, where did you find the zoning info on RV’s in your area? I spoke with Sue Cummings from Planning and Zoning and she informed me that there isn’t anyplace a person can legally live in their RV other than an RV park in Boise. gosh, its been several years now but I believe it was through the DMV, not the building department. Sue is correct, though you can get a conditional use permit potentially, depending greatly on your location/neighbors. We currently live in SC and it is amazing what people are actually living in. It never fails to amaze me what they will require in the code that is completely ignored apparently without ramifications. It really seems to be– “as long as no one calls the authorities”… Most of them look like large sheds or workshops with window air-conditioing units but then you see smoke coming out of them in the winter which is kind of a dead giveaway. But since they are an extension of the main house it could be the “boys working in the garage”. Yes, most tiny housers get by the same way, I myself do! It comes down to someone calling it in, if that happens there is no recourse, you’ve got to go, the lack of a feeling of security wears on ya! Sara, thanks for your ‘boots on the ground’ info, and I know I’m coming in like four years late here, but in response to the comments I’ve quoted above, I feel unable to resist sharing my understanding of people anywhere, at any time, in any sort of authentic community: I reckon the only situations in which ramifications follow certain behaviors are those where people complain, to the ‘authorities’ or otherwise. When people accept a thing or behavior, they don’t complain, and when they don’t complain, ramifications don’t follow. What I mean to say is the insight about house requirements being ignored with no reprecussions is extendable to almost any sort of human behavior in groups: be good to your neighbors, and they won’t speak ill of you; when they don’t speak ill of you, you are their neighbor. Ok but what did YOU do? Where are YOU parked? Who owns the land you are parked on? What issues needed to be addressed with homeowners insurance, taxes, and such? I am parked on my friends property, I currently do not meet zoning regulations because there are none. I pay rent for the space but if asked to leave I have no recourse. I try to stay friendly with the neighbors and so far have not run into any issues. There is no HOA that governs the neighborhood I am in. I am taxed as personal property, the landowner pays property taxes on his land, I pay taxes on my personal property. There is nothing happening with homeowners insurance, his or mine, I am uninsured. Hopefully that clarifies. That is a good way to go, still not quite fully legal most likely but definitely awesome! You mentioned this, but I want to make sure I am clear.. My husband and I own a home. We plan to build a tiny house for future use, possible to take to Canada, and the plan was to park it in our driveway and live while some renovations are being done on our house. Once those renovations are done Is It Legal to continue to stay parked in our Own driveway and rent out the bigger house? As long as the renters and neighbors don’t have any problems with it. Or does that depend on city and state laws? By your description I would bet you are fine 9 times out of ten but there are currently very few places where its TOTALLY legal, it varies very much from location to location depending on local codes and laws. How did it work out for you after all? Really glad to find this site. I live in southern Indiana and just recently started looking into zoning with the idea of building a permanent tiny house and renting the big one. Unfortunately, tiny is not legal in my county. ( they also were not pleased with off grid options). Which leaves me with the options of parking one here anyway (already on good terms with the neighbors, and could certainly talk specifically about it) or selling and trying to find another place. Now thinking building on wheels may make more sense. I could still get kicked out but could look for other locations in case it happened. I was shocked. The history of this recently rural area (still have cows across the street) is that it was a far alternative to Louisville, KY, and so you find bermed homes and A frames and other unusual structures all over the place, but now they want to be a Mcmansion bedroom community. Didn’t they notice how many bloated properties went into foreclosure a few years ago? Arrrrgggg. But your words are very helpful. Thanks. isn’t it odd… Makes you wonder why!? I am so happy to see doors opening the other direction recently though! Thanks for your kind words! Great article! One of the most thorough I have found in my research. My wife and I have two kids and currently live in a small house in Clackamas County (we’ve thought about going tiny, but just aren’t sure we could do it with kids and the long wet winters we usually have around here!). We are renting now, but are planning on buying a small permanent house in the same county soonish. We love tiny houses and plan on installing hookups for a tiny house to park on the property. Any thoughts on liability insurance for tiny house owners? Just thinking that if something happened with the tiny house renters and it damaged my property or the permanent dwelling (house) on the land, I want to make sure I’m protected. Are tiny house owners able to get liability insurance? There are currently several companies out there now working on insurance options but I have not heard of one that I would completely trust yet… Some people get them insured as RVs but I have doubts about whether they will actually cover something since it is not generally made by a manufacturer… right now there are a lot of variables, renters insurance covers the inside belongings still but the structure itself is still pretty questionable whether coverage would work. Hi my post above covers a lot of stuff. If you have specific questions I can try to answer them here or you can e-mail me. Seems to be a lot of interest here in Michigan, But the building departments are not at all good about providing you info on how to put tiny homes in..
Oops, I screwed something up! My posts were showing up as JOHN, now they are showing up as Michigantinyhomes. Don’t know why. sorry. feel free to check out tinyhouseparking,com and tiny house hosting on Facebook, their whole mission is to connect tiny housers with land owners! Where are you located? Need that to know where you are looking. What about living outside the city on private land? It is MUCH easier to find a viable spot that way, lots of counties don’t regulate much but still check with your particular county to verify! doesn’t sound like a logical move. Please be careful about pushing for more regulation, as in: “(I personally wish there was some sort of structural analysis required…). Having been a builder for the past 30 years, a dweller of homes no more than 500 sq/ft for the last 25 and a designer and builder of small structures for the recent 15, I have seen what happens when the regulation of something as basic as housing gets out of hand. I agree that a modicum of oversight could be prudent (and what that oversight would look like is a discussion for another day), but in my opinion, something more like incentives for following best practices would be a better way to encouraging sensible, sustainable living. Otherwise, what happens, as has happened with conventional housing today, is that you end up with regulations that invite sprawling, unsustainable, over-priced, unimaginative, cookie-cutter housing and the seeking of loopholes to get away from those very overbearing regulations… which, are mostly derived from allowing other people to think for us. We the citizens of wherever we are, need to get back to being more responsible for our choices and stop expecting someone else to figure it out for us. For me, a good part of the tiny house movement is about freedom. So please forgive me for perking up when I notice the subtle encouragement of more regulation. Any time a new regulation comes out, it is a hindrance to freedom. Therefore, it is imperative for the citizenry to carefully consider the permutations and un-intended side-effects of any purposed regulation. Of course, on the surface it sounds reasonable to require that all vehicles allowed on the roadways meet certain standards. But the edge of the slippery-slope begins with who gets to decide what is safe? You, me, some committee somewhere setting in stone what governs our freedoms from here on out? Or perhaps it should be the industries that might benefit from lobbying for standards suggested by the safety studies they have magnanimously paid for? In the case of our driver behind a poorly built and loaded trailer, who is responsible for ensuring that nothing goes wrong? And who is responsible if it does? These are important questions, that if answered reasonably, would better lead to a sensible level of regulation and sustain the freedoms (not chip away at them) that the tiny house movement is fighting for. If a driver is concerned about the safety of a vehicle in front of them and considers themselves responsible for their own well being, they should pull over and wait, or pass the potentially dangerous situation.. Hoping that someone else will regulate away the possibility of something going wrong (impossible), is also hoping for less freedom in ones life. Again, I offer this caution from the perspective of someone who has been in the design and building profession for many years and has witnessed the steady erosion of the simple freedom to buy a piece of land and crudely, or extravagantly, or anything else in between, build a place to call home. So, Here is to the Freedom to live large, as big or as TINY as you like! Cheers! Macy, can you go into more detail about your dual 15 amp plug in option? I’m getting ready to wire my house, and plan on going with the 30 Amp hookup, but want to be able to plug into a friend’s house. Do you have half your house powered by one 15 and the other half powered by the second 15 to avoid tripping your host’s circuit? Any info would be great, thanks! Hi Adam! I am actually, as of a couple weekends ago just on one 15amp cord. I originally had radiant heat floors, electric, and that was on one source and everything else was on another. I calculated my loads going into it and found that my max draw would be about 10 amps UNLESS it was winter adn I was running the floors, then it could jump up to 17 amps worst case, so I decided to just split them, knowing the floor may not always be in use. I have since ripped it out and so just have the remaining 15 amp cord. It is very common to wire for a 30 or even 50 amp service, they sell converters that can convert that down to a standard plug if that is what is needed. If I had to do it over again I would probably opt for a 30 amp service that I could convert down to a 15 amp, not because I actually need it but in case I ever did. I have had no issues at 15 amp but I was very selective about my appliances and making sure they didn’t draw too much power. I HAVE tripped the breaker when running my washer/dryer, my A/C and my microwave at the same time, I have just learned to not do that though and it works just fine (I did not originally have an A/C unit to account for, and they can pull a lot! Hope that helps?! thank you! that does help. I have decided to opt for a 30 amp hookup with 15/20 amp adapter – that should be sufficient for my needs. Thanks for tackling this issue ! Your comments addressing the differences in code are right on the money . I have been living small in North Carolina for 10 years (350 sq . ft.) .Although counties follow state code, they often add provisions that are particular to their location .An example might be coastal vs. mountains, as we have here. I was able to access code online ; my guess is this is possible in most areas . A follow up discussion to yours might be ” Defining Tiny “. Although I don’t think it carries as much weight as the discussion of where to legally put a tiny house, I still find it interesting . By following a lot of the blogs , it seems like most people define tiny as only those homes on wheels . Yet by my interpretation of NC code (without a legal background ) I think you could build a home on a foundation as small as 200 sq. ft. I do live in a rural county , about 30 minutes north of Raleigh/Durham , which would make a difference. I guess what I’m saying is, for those that are interested in a more ” permanent ” location , there are some legal options available . I’m actually not sure where I land on the topic of tiny or small or little or whatever. It doesn’t really matter what it’s called ; what’s important is that the size fits the person and that you are happy in your home . That would be a tricky one to tackle, I have always been a big fan of not defining it! haha! Tiny is different to everyone, I suppose there are special parts of tiny houses on wheels BUT that is only one type of tiny house! When it started the wheels were a way around restrictive codes but I think now there are a lot of people who are interested BECAUSE of the wheels. I wonder how much longer if at all it would have taken to be ‘a movement’ if tiny houses on foundations were just allowed… I’ll have to give this some more thought!! My wife and I are looking into developing a tiny home community in the north Durham county area. We would love to come see your set up if that’s ok with you. Reply here and I’ll send you my phone number. I would be glad to show you what I currently have going on , I’m working on my second house ( I sold the first one) , which is slightly smaller , but still on a foundation. Although I don’t own the first house anymore , we can still see it , as it’s right next door to where I’m building the new one . 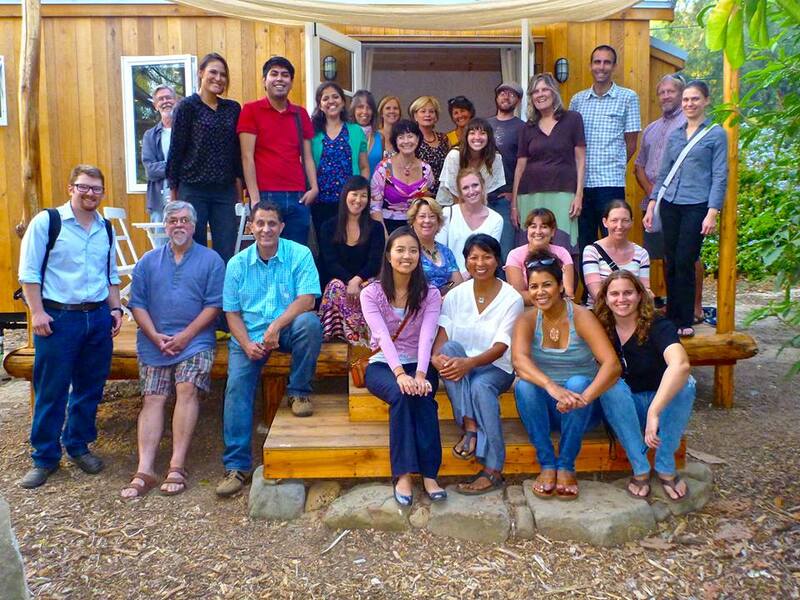 I’m also involved in intentional community /cohousing . Long answer, but sure , let’s get together . Just send me your contact info ! Mike thanks for getting back to me! It would be great to mete up and see what your working on. Email me at airshac@hotmail.com and I’ll send you my number. Find the Grey area and exploit it to your advantage. My wife and I have been trying to figure out if moving into a tiny house in Redding, CA city limit is worth the risk. We are a family of 5, 3 kids under 6, have friends with an RV hookups at their house that have offered their space, neighbors are cool with it, and a house on trailer that is 360 sq ft on an 8.5 x 24′ trailer. The risk is in being asked to move and not having a secondary location in the area as backup. I don’t want the uncertainty of housing for family to be a stress for my wife and I.
I talked with a member of the city planning team today and she said that there isn’t anything written for tiny homes…nothing new. ADUs need to be on foundation. You can’t live in an RV in city limits. She made it sound illegal without saying it straight up. I believe this is the “gray area”, correct? I’m so tempted to just go for it but have fears of the house rolling in to the neighborhood and turning heads and someone down the street calling the city and saying what the is going on down there? Would love your thoughts! Yes, this is right smack dab in the middle of that ‘grey area’. I couldn’t describe it much better BUT it sounds like you are trying to be open about things, you’ve talked to the city, you’ve talked to the neighbors. THAT is the way to be. Neighbors being cool with it is HUGE! They are the ones that would be most likely to have you move. Zoning does not usually care if there are no complaints, they are far more reactive than pro-active. The fact that you’ve talked to the city and got that reaction isn’t sounding bad either, she of course can’t say ‘yeah, totally cool, move on down…’ because she doesn’t know the neighbors, if the neighbors complain it won’t be cool and you’ll have to move on out… BUT she did not say outright, no, there is no way it will happen, we will come get ya if you do it (some people have been threatened over it). You’re email states that you’d like some advice to push you over the edge, I would love nothing more than to be that gust of wind BUT I know the fears you’re having, I too have been terrified about that! No one knows your situation like you and the gut feeling that you have. From afar it sounds like not a bad situation at all but there is always risk at this point in time. To be completely honest, if I would have had kids before living tiny I would have found it EXTREMELY hard to have made some of the choices I have. I was lucky I guess that I didn’t have them when I was at your point. That said, there is NO other way that I want to raise my kids. This lifestyle embodies everything I want to teach them. It may grow or change however it needs to but right now it enables me to stay with them, focus on what is truly important and raise the little people with the values I want. The code climate around tiny homes is changing, you may have to step up and help pioneer it in your part of the world but every day there are more and more examples of cities to point to. Your area seems to have the stance that there isn’t anything written for tiny homes… but there is nothing against them per-say (RVs and tiny houses could be debated to be different). To me that says they are open to a discussion. I can’t make the fears go away and they likely won’t until you have been there a while. Hell, I still have moments of panic when a cop or parks and rec care drives by too slowly, even though they are just admiring the place! The best I can say is to have your plan ‘B’s and hope you don’t have to explore them. My plan b’s include chatting with the city to get a sense of where they are and if they have any plans/discussions on the boards as to handling tiny houses (a lot do). 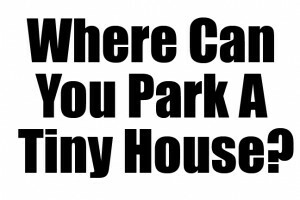 Worst case, it is generally not illegal to park a tiny house on a lot, the grey part is the living so it’s likely if you were called out you, first, would have something like 30 days to ‘fix the situation’ (I’ve not heard a single place that has a fee for being ‘caught’) and second would likely be able to find an alternate place to live temporarily while you figured out a new location IF that was to take more than the 30 days… I am pretty sure there are RV parks that would take a tiny around there. We are a family of 3 living in the Redding area (outside city limits) in a self built 24ft house. Happy to show it if you’re interested! What sort of permits and regulations did you come across when building your tiny home outside of Redding? We were considering doing something similar. i am not sure if you answered this or not, i skimmed through, read the first part, but i’m special and my attention drifts, don’t take it as an insult or anything, any-hoo, what about if i want to live in my tiny house (Yet to build, want to get things in order first) and it is on my mom’s property? It’s pretty much so i have a me space plus i will be working up to owning lots of land some day, in the country by the way. 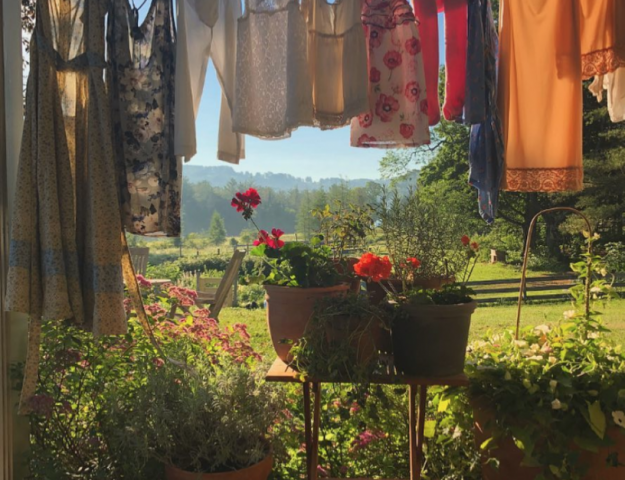 So what are the laws to being on and living in, my tiny house on my mothers land (There are no neighbors around us shockingly, we live in Estacada) and then someday on my own land, still in the country? I believe it is answered above, if you cant find it let me know. Hi, So I am in Washington. My county codes say that an “RV” cannot be used as a temporary or permanent dwelling unit even in people’s yards and only in trailer parks! I am deeply upset as my spouse is going back to college and our plan was to live tiny in my parents property while he went back. The county is saying it is not allowed… is there a way around this? Do you know if there are permits my dad can apply for to make his property like an rv park? We dont want to live in a park we want to live at my dads. Not really, most people opt to ask forgiveness rather than permission. It is generally a zoning issue which is only enforced if complained about, if the neighbors aren’t opposed often it all works out fine… I wish there was a better answer but that is how most places are as of now, hopefully changing soon! My wife and I plan to retire in 2 years. We want to live little (500sq ft or so) on a foundation. We want to do this is western NC or east Tenn. Anyone have any experience with locations, building codes, problems, etc with these locations. Any ideas are greatly appreciated. calling the local department will get you the best info, ground bound structures all go through the building department, good questions would be to ask their minimum sf requirements, and what permits and inspections are required, they vary by location but that should be a good starting point! You might check out what’s happening in Asheville , NC . Nice area , and plenty of tiny house stuff happening there. Thank you for this article! It’s exciting to see this trend kicking off here in the making! Perfect timing. I just came across this movement and it really fits my lifestyle. Any word on Kentucky or Georgia? East Coast in general? My wife and I are fans of going smaller. We are not going to live in 200 sqft mind you, but 2000 sqft is too big. We watch the shows, but they tell you nothing of zoning etc. We plan to go small about 2018 or so and are downsizing now. I discovered this site while doing my research. We waffle about trailer vs pad type of house, but 500-600 soft seems to be the goal. We do not want to live alone in the country with corn for miles, or be 10 ft away in a trailer or RV park, what’s the point of that then? I can be used as a resource if needed. I’m not 28 years old, nor do I like using the word retired, since I’ll be working deep into my 60’s or 70’s. Loft are for kids. Going small is smart and should not be looked at as crazy, but informed. Do two people really need 3000 sqft and three air conditioners living in a community called The Preserve? I think not. Count me in. All good points, with how rapidly the climate is changing in codes and zoning hopefully you have NO issues finding your perfect spot for your small home in 2018! Thanks for the kind words!! Bob your funny, I agree with you fully, I live in Northern NJ, want to live in rural NJ. My curiosity is if folks in US can buy a rectangular Prefab and put it on a piece of land (opened or rented) wats the difference with a tiny home? I won’t even dig a ditch for my poop! All I really need is water bc I’ll go solar and propane and batteries. BTW, congrats on the addition to your family. And soft is the auto correct for square feet. there are no mobile homes any more, that term went out in about 1976, so they just can not be that any more, the term now is manufactured home and the referred to single or double wides they are highly regulated by hud. Hi Macy! This is an excellent feed on everything going on with tiny houses in Portland and other states! Very informational and a great resource! I was wondering if you know what license or codes The Tiny House Hotel would have needed to place that set up in the city of Portland on Alberta Street? Do you think you could put a tiny house on commercial property if it was ok’d by the property owner? That is a very good question! I don;t know what the Caravan had to do but it’s totally worth chatting with them about. I think it would be tough to justify a tiny house used as a full time residence on a commercial property simply because that is an R use (residential) that you would be plunking on a commercially zoned property, it’s conflicting in general but there are always exceptions to every rule, it would be worth asking but I just think it would be a hard sell. I recently sold my house in NoCal and moved into a 24′ motorhome in order to travel the country and do volunteer work. And I am researching what it would take to build a tiny house but it’s at least 10 years out and so much will change between now and then. I feel most cities, counties and states will not be supportive of the downsizing of housing. It cuts too much into their bottom line, not enough property taxes coming in. So that’s where activists need to come into play. Dealing with the regulatory agencies and getting many to support such movements as this. I love the tiny homes being built and when mine will be built it will be on a foundation and permanent. I haven’t built my tiny house yet but my friend is planning on building one in the future so we have decided that as soon as both of our builds are complete, every month we will each sleep over at the other person’s house for one night, and therefore get around the codes. Until my friend builds her house (I’m pretty sure she hopes to build hers after we are out of college and she has a job while I hope to go to college in mine), I’ll just find a good friend to spend the day/night with. I’m 55. My wife is 55. No one our age seems to think going Tiny is normal. They are still building 3000+ sqft houses next to me. I don’t have peeps I know who own property in the middle of no where. I don’t have an RV. Seems you gotta not say anything to anyone if you wanna live simple. Buy the damn 2000 soft house and pay your taxes. I don’t have the money any more. I am as frustrated as most. Does Europe have the same red tape? My understanding is that Europe has worse red tape :/. Things are changing fast though, codes are changing all over the country, a lot of times it just takes a question being asked. I live downtown, albeit not ‘legally’ but I have been far from quiet and had no issues for over 3 years. I wish it was more secure for people to do currently but at least that is changing though! Thank you for all your help in helping us… Wat is the difference between buying a prefab, buying land versus buying a tiny house(no wheels) buying land? I live in Northern NJ want to live in rural NJ. Macy- I’m looking into buying an undeveloped lot off of Hill Rd (with a view), but not building/moving to it for some time. How much could I rent it out for, for a single tiny home? What if I went ahead and ran and added utilities to the lot (the tiny homeowner would set up and pay the utilities)? Thanks. I would sign in to the local meetup group and start a discussion on it maybe, we live in a pretty inexpensive area but I have not been a real renter for a while, my guess is you could pretty easily get 200-400 a month depending on things. I think most tiny house renters expect to handle their own utilities so if they were set up they would definitely pay them. Another place you can go to find renters is Tiny House Hosting on facebook (https://www.facebook.com/groups/tinyhouseHosting/), I know there are currently 3 active people searching for land in the boise area, not sure if they have found anything yet but it’s definitely growing here. They aren’t ‘illegal’… they just aren’t ‘legal’. It’s a small difference but an important one! They are just in a grey area :). One less BIG hurdle to jump in the efforts to get them fully legal! It’s about Power, Territory, and the instinct of living creatures to create a Home. At the end of every avenue will be lawyers, officials, and men with badges.They can’t let you pass because it’s a Slippery Slope. RV parks are mentioned several times above; they are unfortunately Zones of Special Interest for many of the Authorities: i.e. see The Grapes of Wrath. But there is a way: It’ll just take time. Any longer, just standard setbacks. I’ve seen a lot of builders post their plans for sale.. If you purchase plans from a certified rv manufacturer and build yourself does that make it legal to park it in an rv park or do you legally need to have hem build it for you? Even buying from a certified builder doesn’t guarantee parking but it increases odds, in reality each park gets to decide their own rules. If you mean ‘certified rv builder’ to mean RVIA certified it has to be constructed by them to be certified, not just from their plans. Macy, as an RV park owner, having the RVIA certification makes a world of difference. A DIY tiny home has the potential to cause campground owners legal problems. What if one didn’t wire it correctly and the campground electrical was fried or worse, if one caught fire and burned down another rig? Just another perspective. I agree, it’s getting more important as some RV parks are warming up to the idea, to date there have been some that just say no in any case and some that say yeah regardless. As an RV Park owner can I ask,, would it mean the same if you had a certified and notarized letter from an licenced electrician and plumber that said it was all to code? I am looking to buy 10 acres with an existing home but I will live in a rural area of Central Florida. I want to put a few tiny houses on it to use for cabins for workshops for Christian ministry. I also would like to have extra ones to rent. I would also consider letting other people park on the land. So is the only thing I need to check the zoning laws for mobile homes if I own the land and there’s a house on it? You need to check with zoning and the building department, those are several different uses, they will help you figure out the local rules! I have property (20 acres) and a house in Multnomah County (outside of Portland) and hope to live in a tiny house on the property while letting the kids move into the house. I think my neighbors will be cool with the arrangement, but we also have a wildlife overlay that makes it really hard to do anything out here. I’m pretty sure the County would NOT be cool with it. I guess the question is, how long can I get away with it before the county catches on? Hi! My fiancé and I plan to start building our tiny house on wheels within the next few years; as of now we are doing our research and saving funds! We live in suburban Kansas City, Missouri, and don’t know very much about zoning/codes here! It doesn’t seem like a very popular idea in this area yet. Do you know of any fellow Missourians living tiny?? I don’t specifically know o any but you could reach out in the Tiny House People Facebook group (https://www.facebook.com/groups/tinyhousepeople/, I think you may have already?) 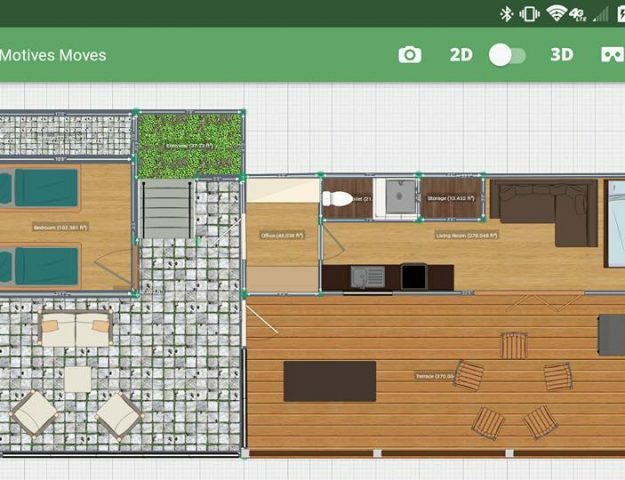 and you can also check this map (add yourself) and reach to to others who are interested, https://www.tinyhomebuilders.com/map. Hey! I’m also in the Kansas City, MO area. My cousin is a lawyer and he told me to check out municode.com for zoning and codes. I’m saving up, so I live in a 590 sqft apartment. You can find me on Facebook as Jessica R. Bartels if you have other questions. Hope this helps! Are there any success stories for Mass? I don’t mind living rurally but I need something close to jobs preferably around Boston/Providence (I work in IT, hard to find jobs like that in rural areas.) Thanks! I know I have heard from a few in that area, you may check this map, https://www.tinyhomebuilders.com/map and also MeetUp.com to see if you have a local meetup group. There are also some helpful regional groups on Facebook you could try searching ‘tiny house’ and your area and see what comes up, then reach out! It’s a friendly bunch in the tiny house world! 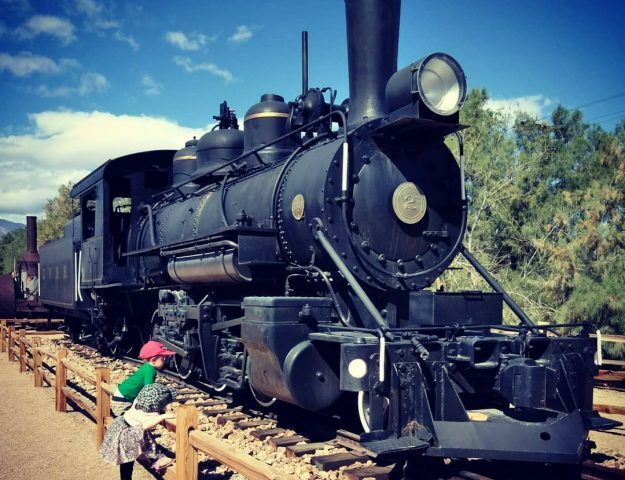 Pingback: [Complete Guide] 8 Amazing Ways To Living Offbeat and Location Free! You would have to talk to the city officials, its very location dependant. It’s not uncommon for people to be allowed to camp on property while building a permanent structure but it depends on the specific site. I am the president of the sustainability club at Arapahoe Community Collage and we are working at putting together a symposium on Tiny Homes and sustainable living. We are tying to bring awareness to the community here. Would you ever be interested in coming out and speaking to our group. We are planing to have the symposium some time in February. Hi Richard! I am always up for helping spread awareness. I don’t charge for my time but usually ask that travel expenses are covered. At that point I would be coming from Boise Idaho, we are setting off on a big road trip scheduled for April 19th but if that works it would be awesome! I am trying to get informed as much as possible. So if I have this correctly, if I have my own house and a 1/4 of an acre, I should be able to park a little house on the back? I am planning on buying both the house in the big lot and the little house. However, the house will need repairs and I will need money. I am hoping I can rent the little house to a student (I am a student too) and live in one section of the house as I finish the repairs on my own. So from what I read, a little house in the back yard should be no problem right? Also, how do you work out the shower/toilet/kitchen sink in the little house? you will have to talk to your local zoning department to be certain an ADU is ok, every location has different rules. MOST places have no issues with annd ADU (accessory Dwelling Unit, accessory to a main house) but some have regulations against it. Call your local department, at the very least they will then know there is interest in making ADUs ok, they are likely prohibited with restrictions that only they can outline. That was super helpful! Thank you so much!!! I have spoken with someone at zoning for Eau Claire County, Wisconsin named Jared Grande. I asked if I could forward his email to any or all of you who know more about the zoning aspects of THOW than I do, and are better, less emotional speakers than I am. Is anyone interested in seeing the correspondence we have had, or perhaps speaking with him about what needs doing to change the zoning laws? I would really appreciate any input or help in trying to change the laws around here. From what I understand, if it is a township, you can basically live in whatever you want, and won’t be harassed, but if you don’t want to live in the wilderness, you can’t live in a THOW. I want to convert my tent trailer into a tiny house. How difficult is it. It would be a challenge honestly. I presume you mean converting it to a hard walled structure? If that is the case I would recommend against it because tent trailers are designed to hold very limited weight and the weight of a hard walled structure adds up very quickly. It didn’t have a lot of listings but hopefully that will change. Thanks again! Thank you for letting me know! It looks like that is a completely different website and maybe the other one went kaput! I can definitely update it though! Thank you again!